15th August 1947 marks the independence of India from the British rule and it was on this day that the sacrifices of hundreds and thousands of Indian freedom fighters and countrymen actually bore fruit, and took shape in the form, a united sovereign India. 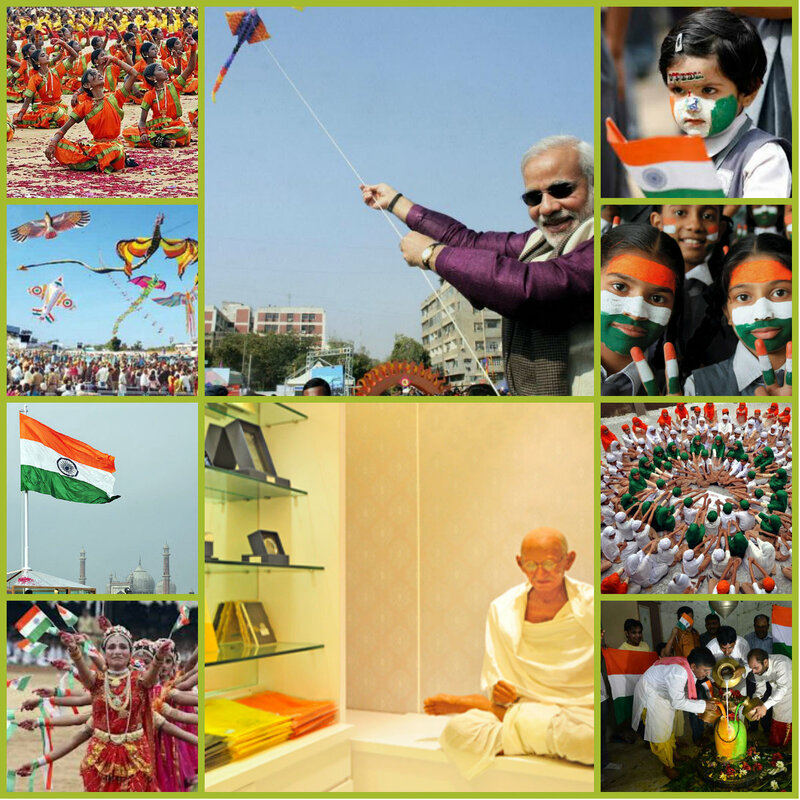 This year, India celebrates its 71st Independence Day. The Britishers came to India to maintain trade relations through the East India Company, which later suppressed the Indian Rulers and gained autonomy over areas of the Indian Subcontinent. The reign of the Britishers proved to be detrimental for India on all fronts be it social or economic fronts. The wealth of the so called “Golden Bird” dwindled significantly under the British Raj. Internal conflicts and imposed curfews were at an all time higher under this regime. The Independence of India was a hard fought victory involving all communities of the country. The freedom movement saw Non-Violent protests against the colonial rulers by the likes of Mahatma Gandhi. Poets and writers like Rabindranath Tagore, Bankim Chandra Chattopadhyay used their writings to develop the nationalist feeling in the Indian masses. Movements like the Swaraj Movement, The Quit India Movement, The Non-Cooperation movement organised by different leaders and political organisation played a pivotal role in the Indian freedom drive. The 15th of August of every year, from 1947 is observed as a national holiday, no official work is done on this day. The president of India delivers the “Address to the Nation” on the eve of the Independence Day which is broadcasted on TVs and through the radio. 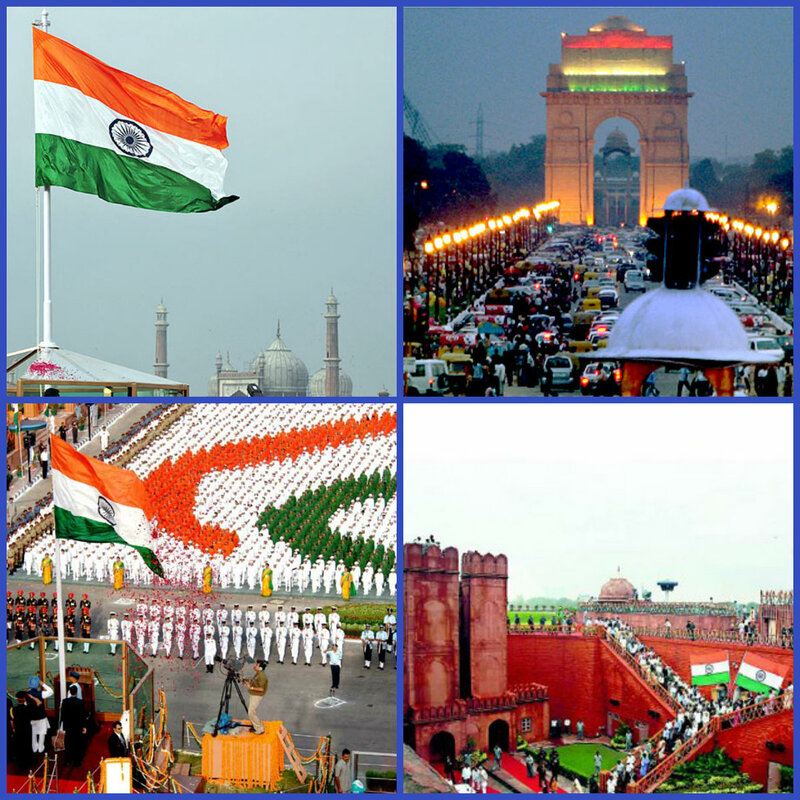 A grand function is organised is organised by the Government in the National Capital, Delhi on 15th August. The Prime Minister (PM) of the Country hoists the Indian National flag at the Red Fort, followed by the National Anthem, “Jana Gana Mana”. A speech encompassing all the previous achievements and stating the future vision is given by the PM. A ceremonial march past by the Indian Armed forces and paramilitary forces is succeeded by the speech.Twentyone gunshots are also fired in honour of the occasion. The live telecast of the celebration can be watched on the National broadcaster, Doordarshan. A similar function is organized in the capitals of various states of India, where the Chief Minister unfurls the National Flag, which is followed by cultural events and ceremonial parades. Though no official work is done on this day, institutions like schools, offices etc enthusiastically take part in the flag hoisting celebrations, which is further followed by distribution of sweets. In various parts of the country activities like kite-flying are also undertaken by people to celebrate India’s freedom. People walk out of their homes donning the tricolour in the form of T-shirts, headbands, wristbands, tattoos etc. National monuments like India Gate, Parliament House and local markets are decorated with tricolour lights. Globally, a special Parade i.e. 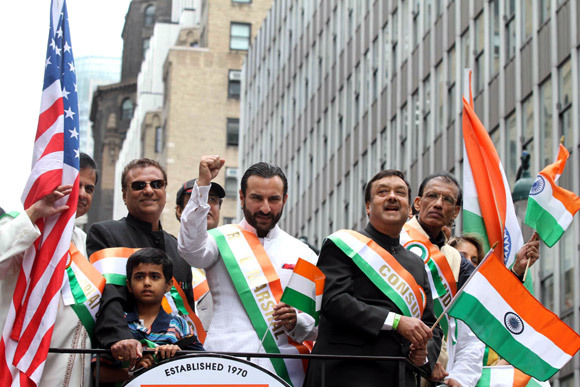 The India Day Parade is organised in New York in order to celebrate the Indian Independence Day, this year, the 37th India Day Parade would feature Bollywood actor Rana Daggubati as the Grand Marshal.